Ever wondered how, as we know from the history of humanity while learning about illuminated human beings, the special categories of saints, lovers, mystics and friends of God who were utterly hidden, who spent most of their time in seclusion and away from people, never talked about themselves- and yet somehow more people know about them than those who were full of themselves, spent their entire life among people and even published their own biographies?! It is those illuminated people and their memories which are stamped across many hearts, across many ages who, paradoxically enough spent the least amount of time in the busy world and with the people of the world and who had the least interest in themselves, who killed themselves by themselves - yet their names and works continue to live across space and time. Don't you wonder how this strange thing happen? You may find that answer in an extra ordinary book recently published in revised edition called The School of the Shadhdhuliyya ORIGINS. In the history of human kind, there exists a rare kind of books which are not written by the authors like how commonly books are written; rather the authors are compelled where an author only participate just as a pen participate in the hand of a writer. These special books are authored by the Highest Hand. In such cases, the author have no choice and they could either be arrested to write it, or forced to write it or dropped in a situation where he, she has no other choice or the thought of writing will never leave their heart until they take up pen and stop at its finish. ORIGINS is one such book. 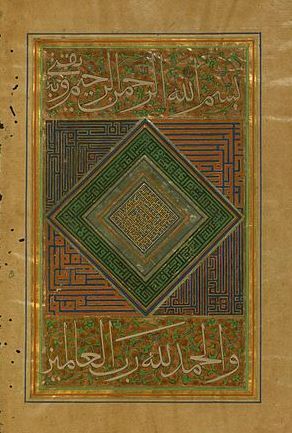 Both the author and translator of this book went through similar experiences of being led and guided while arrested to the process of making the book a reality. Before I share that experience from the book itself, let me offer a passage from the book itself. 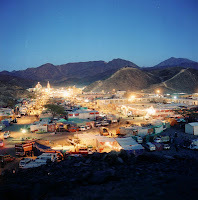 Shaykh Abul-Abbas al-Mursi described, "I was with Shaykh Abul-Hasan in al-Qayrwan. It was the twenty-seventh night of Ramadan. It was a night of Friday and possibly a Night of Destiny. The Shaykh entered a mosque so that he might pray in congregration and I accompanied him. The one who loves Allah, years for nothing else. The one who knows Allah, finds everything else trivial. The one who perceives the oneness of Allah, will never join anything to Him. The one who has faith in Allah, is sheltered from all harm. and if he rebels he is excused - indeed he is excused even before he seeks pardon. "At that very moment I understood with a new depth the meaning of Allah saying in Qur'an, 'Purify your garment.' (74:4)"
The above short section is from the opening passages of ORIGINS, giving us a tiny glimpse of what treasures this book contain in the way of deeper understanding of not only scriptural text but also elevated ranks of individuals who illuminated the Path. It is said that wheresoever the friends of God are remembered or mentioned, the grace of God is showered in that place or upon that person. This book contains the life sketch and litanies from some of the most remarkable and advanced saints in the Sufi Path and God willing, reading it is expected to have visitation from God's grace since every page of it is remembrance of God and His friends. Returning back to subject that certain rare kind of books are not written merely on the will of it's author but by the Will of the Greatest Authority, I quote partially from the INTRODUCTION of the Book One, where Dr. Abdul Halim Mahmud speaks how he was literally arrested by the Divine Authority to write this book. This book! I was forced to write this book and compelled to compose it. I had no free choice to determine the timing of its writing nor could I choose to delay its composition. I shall relate, 'Insha'llah, the story of its composition no matter what people will say..
More than fifteen years ago I was visiting a friend. We talked about many subjects and finally our conversation reached the subject of Shaykh Ali Abul Hasan ash-Shadhdhuli. At that time I knew very little about that great Qutb. Truly I had heard his name everywhere but circumstances did not help me to get in touch with him. I asked my friend if he had any references that could give me a concise and accurate picture of the Shaykh in order to dispel my ignorance. He gave me a book by Professor as-Sandubi about 'Abul Abbas al-Mursi, which included some pages about Ali Abul Hasan ash-Shadhili. My friend had no other references. .. I continued reading and studying about Shaykh Abul Hasan .. But then I once again became busy with other things. I closed the pages of Shaykh Abul-Hasan. Days and years passed and pages of Abul Hasan remained closed. In 1962 I was invited for one month to Zaytunah University in Tunis as a lecturing professor. There my memories of Abul Hasan were revived. I tasted his fragrance in that place. I ascended the mountain where he used to worship and also entered the cave in which he used to seclude himself for prayers and contemplation...I went to this part of the cave, as Abul-Hasan was used to, and sat worshiping humbly as he did. It was in this cave that he spent many long hours both by day and by night, by himself, invoking Allah in a seclusion filled with deep spiritual longing (shawq), love (mahabbah) and a heart of certainty (qalb al-yaqin). In the cave I found myself enclosed with tranquility of self, serenity and clarity of thought in a rare and wonderful manner. I went several times to the cave on the top of the mountain and at each visit the desire to write a book about Abul Hasan crossed my mind but still the pages remained closed. My references, however, increased. .. Then a number of concrete occurrences and varying circumstances caused me to take the Shadhdhuli Way and to mingle in the atmosphere of the muridun. I continued to recite the awrad and the adhkar of the Shadhdhuli. Things continued on in this way until March of the year 1964. At that time I was visiting professor at the Islamic University in Tarablus (Tripoli) and, having completed my lectures was preparing to travel for the purpose of making Hajj to the sacred precincts of the Ancient House of Allah in Mecca the blessed. I was in Tarablus awaiting the time of my sailing to the Holy Lands when I had a ru'ya (veridical dream) in which I saw a man that I knew by the name of Tawfiq (success or good fortune). In the ru'ya he was dressed not in his usual attire but as a policeman holding handcuffs. He said to me in the form of an order, "Write about Shaykh 'Abul Hasan ash-Shadhdhuli!!!" I did not reply and wanted to ignore the subject and talk about something else. At that point he grabbed my hands and threatened to put me in handcuffs. I said to him, "Does this mean I should leave off from work I am doing and write about Shaykh Abul Hasan ash-Shadhdhuli?" He said, "Yes. Leave off from what is in your hands and write about ash-Shadhdhuli!!!" Having delivered this message he seemed contented and I immediately awoke. Allah facilitated the Hajj for me, praise be to HIm. Upon my return to al-Qahirah (Cairo) I attempted, in spite of the vividness of the ru'ya, to postpone writing about Shaykh Abul Hasan. Why this was I didn't know and still don't know. Instead I went on studying Shaykh Sahl at-Tustari, as I was determined to lecture the students at the College on Sufic Tafsir and I intended choosing examples from at-Tustari. Just as I was beginning of my study and writing for that book one of those storms which confront humanity from time to time alienated me from at-Tustari and from the subject of Sufic Tafsir. Indeed it alienated me, in place and in time, from the spiritual atmosphere altogether. This pages of at-Tustari were closed and the urge to write about him was erased from my soul. At that time I remembered the ru'ya and remembered 'Tawfiq' ordering me, "Leave off from what is in your hand and writing about ash-Shadhdhuli!!!' But once again weeks passed in which I engaged myself only in casual reading. During these week the impressions I had about the ru'ya faded almost completely until tey became marginal in my memory. Something else came to mind. I found that in the past I had written on the subject of al-Iman (certified belief or secure faith) and had additionally spoken on that subject on both radio and television. It seemed it would be simple for me to hand that subject, for all I would have to do would be to go back to my previous writings and re-shape here and there and finally publish a study on the subject which would be useful for Egypt in that particular period. One day I took all my references and went on a visit to the countryside hoping that I would find there an atmosphere conductive to concentration and clarity. I traveled with some friends by taxi and upon our arrival the taxi in turn departed - along with all my references; a fact I only realized when the taxi was out of sight and reach. I had not even taken its number. When the taxi was out of sight the ru'ya came to mind once again as it had during "the storm of at-Tustari". Once again I heard the words of 'Tawfiq' ordering me "Leave off from what is in your hands and write about ash-Shadhdhuli!!!" I said to myself, "The lesson is complete. I must with the help and support of Allah, write about 'Abul Hasan ash-Shadhdhuli. Other writings can come late as Allah wishes." I returned back to my old references on ash-Shadhduli and found them to be complete; main references, secondary references, lives of the Sufis, references both old and new. In short everything I needed to write about ash-Shadhdhuli was at hand. The task loomed pleasant and easy and inwardly I found myself keen and ready to write and to Allah is the praise. I pray that this book will be as useful to other as Shaykh Abul Hasan ash-Shadhdhuli is to me, may Allah be content with him and sanctify his soul of soul. And Allah is the best to respond. 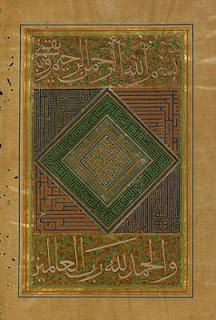 The Seal of the Prophets was an universal Messenger, may Allah bless his noble soul and grant him pure peace, and thus those who walk in the footstep of the Universal Messenger, also takes up works in the rank of universality where the division between East and West merges by the Light which belongs neither of the East nor West, but purely Universal, all-Encompassing. 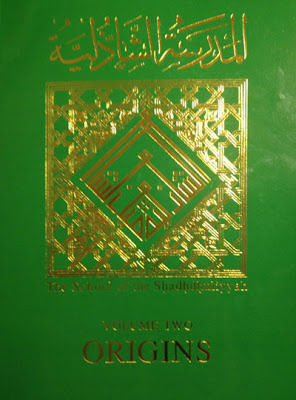 Contemporary Shadhuli Master Shaykh Nooruddeen Durkee's contribution in bringing out both the volume of the School of the Shadhdhuliyya, first the ORISONS and secondly the ORIGINS reflect a testimony and hallmark of the work being continued by those chosen by the One Authority to carry on the transmission to the global West in this important time. May Allah accept this work from him and bless him abundantly. Shaykh Nooruddeen Durkee's translation of this valuable text for English speaking readers about the origins of the Shadhuli Sufi order touches upon the life of it's earlier masters and saints. Particularly it details the life and teaching of the first four masters of the Shadhdhuli School (tariqah): Abu-l-Hasan ash-Shadhdhuli, Abu-l-Abbas al Mursi, Yakut al Arsh, and Ibn ‘Ata’Illah as-Sakandari, may Allah bless them abundantly and sanctify their soul of soul. The book incorporates translations of two works by the late Shaykh of Azhar, Dr. ‘Abdu-l-Halim Mahmud (ra), on Sidi Abu-l- Hasan and Sidi Abu-l-Abbas; a compilation of articles on Sidi Yakut, by Dr Ibrahim Hakim; and the doctoral thesis on Ibn ‘Ata’Illah by the late Shayku-l-Mashaqykh of the Sufi Turuq in Egypt, Dr. Abu-l-Wafa Taftazani (ra). Also included are The Ship of Safety, by Shaykh Ahmad Zurruq, and the beautiful Remembrances and Supplications of Shaykh Abu-l-Hasan. This book contains many precious treasures, among them extensive proofs and explanations of the meanings of Tasawwuf or Sufism, and a convincing argument comparing the Sufic approach to reality to the rationalistic approach of many Western scholars. Thus this second volume of the School of the Shadhdhuliyyiah will turn out, God willing, an essential book for all lovers and students of Tasawwuf (Sufism). The Book is available to order via Green Mountain Site and you may read more about it by visiting here. 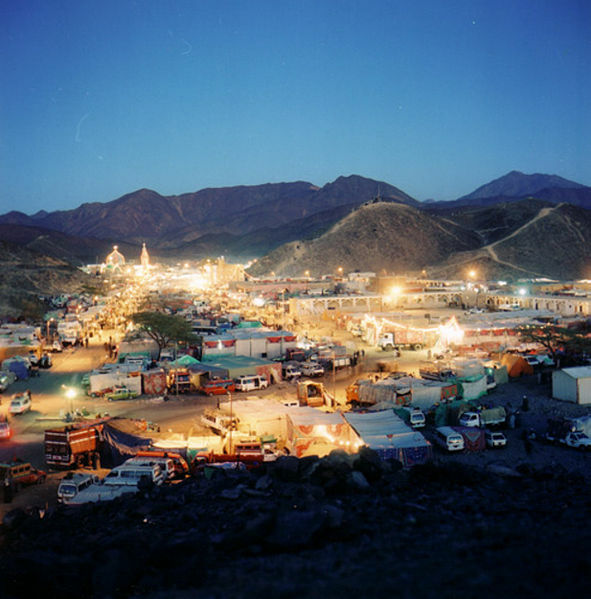 A review of ORIGINS of the Shadhdhuliyya School of Sufism, by Dr. ‘Abdu-l-Halim Mahmud and translated by Shaykh Nooruddeen Durkee from Green Mountain School.